An utterly rewarding trip, designed for birders keen enough to neglect the cold! 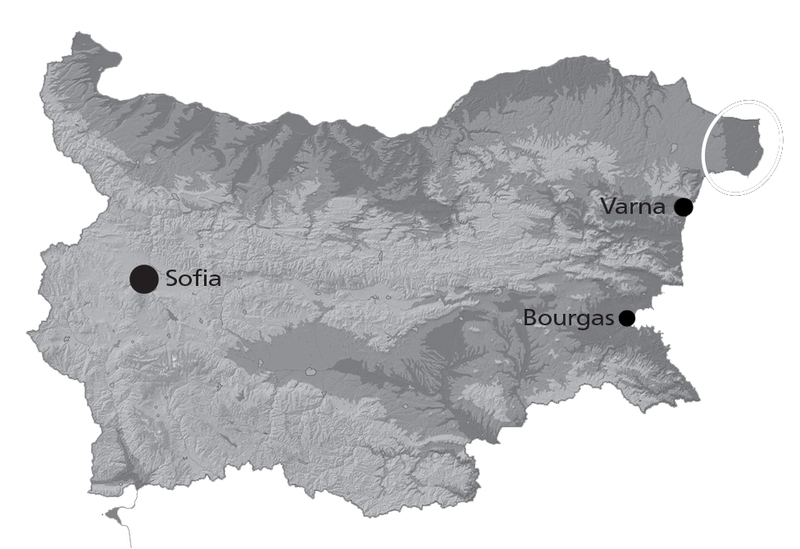 The northernmost part of the Bulgarian Black Sea coast – Coastal Dobroudzha – is famous for being the wintering ground for hundreds of thousands of wild geese, among which almost the whole population of the globally threatened Red-breasted Goose. In the recent 20 years up to 62 000 Red-breasted Geese have been spending the winter in the area of the lakes of Durankulak and Shabla. Thanks to the traditionally grown winter cereal crops in the area of the two freshwater lakes and the good shelter they provide, there are excellent conditions for the geese to survive the harsh winter and for the birders to enjoy them! Our 4-day tour is focused on the region of the two coastal lakes Shabla and Durankulak, which form the main roost of the Red-breasted Goose. There we will watch the spectacle of the flocks’ early morning take-off for the feeding grounds, then follow them to have a closer view. While inspecting the flocks of Red-breasted and Greater White-fronted Geese we regularly spot the Lesser White-fronted Goose too. The coastline of Cape Kaliakra with its vertical orange-red limestone cliffs and the Batova riverine forests will diversify our tour. While in the region we will have good chances to see plenty of other interesting birds like the European Shag (ssp. desmarestii), Great Bittern, Pallas’s Gull, White-tailed Eagle, Greater Spotted Eagle, Long-legged Buzzard, Rough-legged Buzzard, Merlin, Eurasian Eagle Owl, Short-eared Owl, Little Owl, Calandra Lark, Siryan Woodpecker, etc. Wildlife Conservation Society plays a leading role in the monitoring and conservation of the Red-breasted Goose in Bulgaria. Many of this activities are financed with funds raised through our birdwatching and wildlife tours. If you wish to join one of our scheduled Red-breasted Goose tours, please check the availability.